The final stop on my gluten free tour of Manhattan was Lili's 57. I ended up choosing Lili's because the location was pretty central for my friends and I -- some East Side peepz along with a few West Siders made it a perfect location. I was a bit nervous about trying Lili's 57. Gluten free asian food isn't the simplest task, as exemplified by my trip to another gluten free asian food spot in New York City. The gluten free menu has a ton of options that us gluten free eaters and not normally able to eat (outside of P.F. Chang's). Gluten free BBQ Ribs? Check. Gluten Free Rock Shrimp Tempura? Check. Gluten free balsamic teriyaki grilled salmon? Check. I ordered the gluten free General Tso's Chicken; I thought that it would be best to go with a simple Chinese classic to see how it was. While the sauce served with the food was a bit heavy for me, I really enjoyed the chicken. The restaurant was also very aware of gluten free eaters' concerns. When they brought out our dinners, they announced "gluten free" with each gluten free item brought out. I really appreciated that, as oftentimes I am concerned that a restaurant has forgotten that my order was placed as gluten free. I definitely recommend Lili's 57 for anybody looking for great, gluten free asian food in Midtown Manhattan. 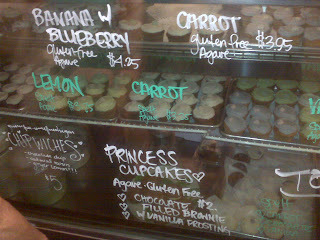 I've written about Babycakes nearly a thousand times (check 'em out here, here, here, and here) and when I was in New York recently I stopped in to check out the new wares. Unfortunately I didn't get to try the shop's recently released donuts; the location was a bit far from where I was staying, but I hope that when I go back I can pick some up. I indulged in a chipwich, a chocolate cookie crumble cake, a red velvet cupcake, and a banana cupcake. All in all, it was a very successful trip to Babycakes -- as it always is. I also heard a bit of dish about the L.A. store -- it seems that it should be open before 2010 arrives but it is looking more like late November/early December. Of course I will keep you, my faithful readers, in the loop. Stop two on my gluten free eating tour of Manhattan was at Mozzarelli's. I had been tweeting with Mozzarelli's in anticipation of my visit. When my friends and I arrived, the chef, Eli, was extremely helpful in showing us around and guiding us through all of the gluten free options. Immediately to our left as we walked in was an enormous rack filled with gluten free cookies, including peanut butter "oreos", mint and chocolate "oreos", macaroons, and so much more. The variety was overwhelming. I knew that it was a good sign of things to come. Also greeting me as I walked in was a cart with a multitude of gluten free dessert samples. We were given a tour of the place and the options available at Mozzarelli's for gluten free eaters. 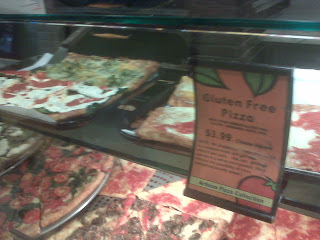 On hand they had four different kinds of gluten free pizza: four cheese, tomato & mozzarella, artichocke, and sausage. I've never been able to order gluten free pizza by the slice, so it was a pleasure to do so in Mozzarelli's. Each slice was also reasonably price at around $4. If that sounds like a lot, keep in mind that Mozzarelli's has a prime location in New York City and the slices are enormous! My gluten eating friends who accompanied me to Mozzarelli's told me that a regular slice in NYC can easily cost $4 once toppings are added. Chef Eli served my friends and I all four slices, conveniently cut into smaller pieces so that we could all share. I was really surprised by how knowledgeable the chef and workers were about gluten free preparation. 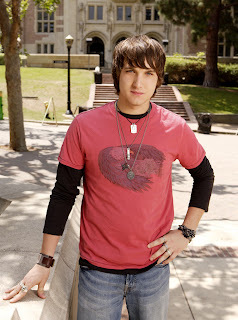 Eli especially knew everything and it was clear that he took pride in his pizza. That pride wasn't misplaced -- the pizza was unbelievably awesome. I've had great gluten free pizza in the past, but this place takes the cake (more on Mozzarelli's gluten free cake later). I was a little skeptical about how the artichoke pizza would taste, but on the chef's recommendation I ordered it. That slice was a little piece of heaven -- the crust was flaky, fluffy, and the toppings were amazing. I couldn't help myself from digging into the tomato & mozzarella pizza next. Again, the flavors exploded off the crust and were amazing. I'm not a fan of sausage but I could nonetheless appreciate the sausage pizza as tasty. Of course, we weren't done once we had finished our slices. On to dessert! Eli brought us over a few things to begin: Oreo Cheesecake, Strawberry Shortcake, a chocolate chip muffin, and a double chocolate chip muffin. Again, I was a bit skeptical about the strawberry shortcake; it just didn't seem like it would be my cup of tea. I was incredibly wrong; the cake was delicious and burst with fresh strawberry flavor. The chef makes every baked good himself after years of experimenting with gluten free flours. I was shocked by how good the strawberry shortcake tasted. 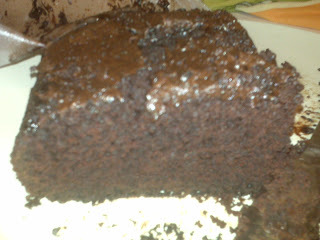 It wasn't thick with bad texture like so many other gluten free baked goods. Instead, it was light and fluffy. Even though our stomachs amounted to the size of California by this point, we finished the desserts with aplomb. The restaurant also does one day a month on which it makes everything in the restaurant gluten free. Mozzarelli's also offers a variety of gluten free pasta sauces served with gluten free pasta. Eli constantly creates new desserts and pizza flavors, so be sure to check back often and see what is available! Do YOU have any ideas of new pizza flavors? The chef asked me to come up with some, but I drew a blank. Leave a comment so I can talk to him when I return to NYC! I took a brief trip to the East Coast this past week, so for you West Coast readers kick back, relax, and enjoy a slice of New York for a few posts. I took the train down to New York City on Thursday. During the 4.5 hour train ride, I mentally prepared myself for a marathon of eating. It wasn't going to be easy; it certainly wasn't going to be pretty. But I knew I had to do it for you, my readers, to fill you in on some of the NYC gluten free hotspots. My first stop on the gluten free tour of Manhattan was S'Mac. Located in the East Village, S'Mac is a little restaurant that has awesome gluten free mac & cheese. I've been missing mac & cheese ever since being diagnosed with Celiac Disease. I used to down boxes of Kraft macaroni and cheese like it was nobody's business. I've tried a few of the gluten free mac & cheese products available but haven't been too pleased with them. I heard about S'Mac a long time ago and knew that I needed to try it on this voyage to NYC. The restaurant offers gluten free mac & cheese that is customizable to your liking. There are 12 styles you can choose from, including a Masala mix ("North American comfort food blended with Indian spices"), Cajun ("Cheddar & Pepper Jack cheeses, andouille sausage, green pepper, onions, celery, garlic and, of course, some genuine Cajun seasoning") and others. My friend and I decided to get the nosh size (the smallest size available) because we were headed to another gluten free destination for a late lunch. We pumped ours up with mozzarella and manchego cheese, tomatoes, broccoli, and garlic. The total came out to around $8.50; not bad for a meal in Manhattan. When the nosh was served, we were both pleasantly surprised by its size. The nosh definitely filled us up (of course, not enough to keep us clamoring for the next stop on the gluten free tour) and it was delicious. I can't wait to go back to this reasonably priced and delicious restaurant! Restaurant may not be the appropriate term -- it's a very casual place where you order at the counter and have your mac & cheese brought to you. So if you're looking for a romantic gluten free date, this probably isn't your spot. Note that the uptown location DOES NOT have gluten free options because of potential cross contamination. I've blogged about A Taste of Thai before, and the other day next to A Taste of Thai products I saw A Taste of India. I decided to give it a try tonight; tomorrow I begin my second year of law school and didn't want to prepare anything too time-consuming for dinner (read: I was feeling incredibly lazy). I picked up A Taste of India's Masala Rice and Lentils and was surprised to see how easily it was prepared. Just add a cup of water to the carton you purchased it in, add the contents which you originally found in the carton, and put it in the microwave. Voila! About 10 minutes later, you have a meal prepared. As you can see from the picture, I put my own spin on the product by adding black beans. I enjoyed the flavor of the rice, but definitely need something extra in there. The box also suggested adding tofu, vegetables, or cheese to the rice. I definitely could not have the rice on its own as a meal, but it is an easy way to prepare rice in a quick manner. The website lists the product as gluten free! 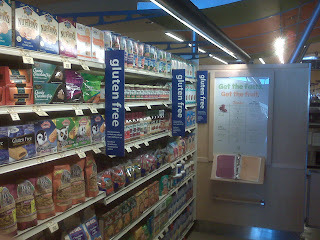 The section is located right next to Jamba Juice and has a ton of gluten free options. As you can see in the picture, there are products by EnviroKidz, Nut Thins, Bakery on Main, and others. There are other gluten free products (i.e. Chex cereal, Tribe hummus) spread throughout the store. Whenever I go home I'm filled with gluten free food; my sister is an excellent baker and my mother meticulously plans every meal. It's infrequent that the entire family is assembled so she takes it upon herself to make sure things are perfect. The flight back from L.A. turned into a bit of a disaster (as it always does! ), but I arrived home in one piece to an inordinate amount of gluten free food. I swear, I think my mother is stockpiling for a nuclear war. She had gluten free cereal, granola bars, a batch of Betty Crocker gluten free chocolate chip cookies, gluten free donuts... you name it, it was there. Then my sister showed up with a box full of gluten free treats from Sherry Lynn's Gluten Free -- just what we needed, more gluten free food! The box included a whoopie pie, almond cookies, ginger cookies, apple cider donuts, a boston cream pie donut, raspberry jelly donuts, chocolate mint cookies, and a chocolate crinkle (a chocolate cookie covered in powdered sugar). Now do you understand how much food there was?! Sherry Lynn's products are some of the best freshly baked products I've ever had. They are just as good as Babycakes' products, but are less expensive. They do ship nationally; call for price inquiries, as my sister picked them up in the shop. My personal favorite was the whoopie pie -- it was incredibly delectable. The entire shop is gluten free and also includes a restaurant, open for lunch and dinner. Of course, Sherry Lynn's treats were just the beginning. 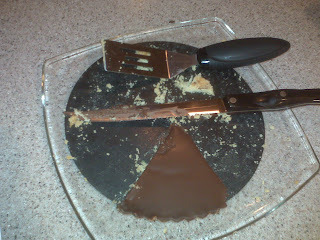 The second night I was home, my mother made an awesome Dark Chocolate Tart. For the bottom of the tart shell crust, she used a recipe from Gluten-Free Baking Classics , by Annalise G. Roberts. Most of the flours used in the cookbook are Authentic Foods , based in California. 1) Preheat oven to 350 Degrees Farenheit. Position rack in center of oven. Grease 9-inch pie pan/tart pan (with removable bottom) with cooking spray. Generously dust with rice flour. 2) Combine flour, sugar, and xanthan gum in large bowl of electric mixer (or food processor). Add butter and mix (or pulse) on low speed until crumbly. Add vanilla and mix well. Press into bottom and up sides of pie/tart pan. 3) Bake in center of oven for about 18 minutes or until light golden. Cool on rack in pan. For a tart, place pan on top of a broad class and carefully push down both sides. For best results, remove pan sides and bottom once tart shell is filled and chilled. 3) With a rubber spatula, scrape the mixture into the crust and spread evenly, taking care not to disturb the edge of the crust. Let cool completely, cover, and refrigerate until the filling is set, about 4 hours and up to 8 hours before proceeding with the recipe. You can serve with whipped cream, frozen yogurt, or raspberry sauce. For our entrée, we had a great salmon dish. I will put up both recipes soon! Did you know that gluten free beer was not allowed to be labeled as such by the Food and Drug Administration? 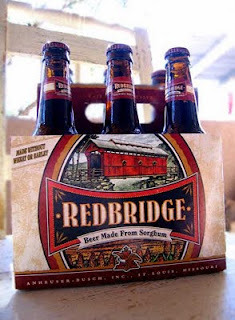 The FDA's definition of beer, dating back to 1935, included that the beverage was brewed from malted barley and other grains. For Celiacs, of course, beer made from such grains was inappropriate and would cause illness. The FDA has just issued new guidelines which apply to non-barley beers. Gluten free beer producers will be able to label their products as "Gluten Free Beer" after the beer is appropriately tested. Are you excited about this change? I've tried a few different gluten free beers and have not been pleased with any of them. Perhaps that is caused by not drinking beer for over four years -- I remember it as an acquired taste. Check out the first Gluten Free Lifestyle Blog Carnival! I included one of my previous posts on it. 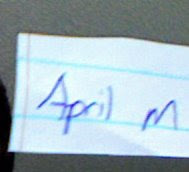 I'll be hosting the next one, posting September 1st, so be sure to check back for more great gluten free blog articles.